The puzzle includes 73 building replicas that depict the city as it appeared as far back as 1078 through to 2015. The puzzle includes such iconic structures as the Tower Bridge, The London Eye, British Museum, Houses of Parliament, and the London Shard. Each building fits into pre-cut holes in a traditional 2D jigsaw puzzle composed of 1,157 pieces that form the city's street layout. 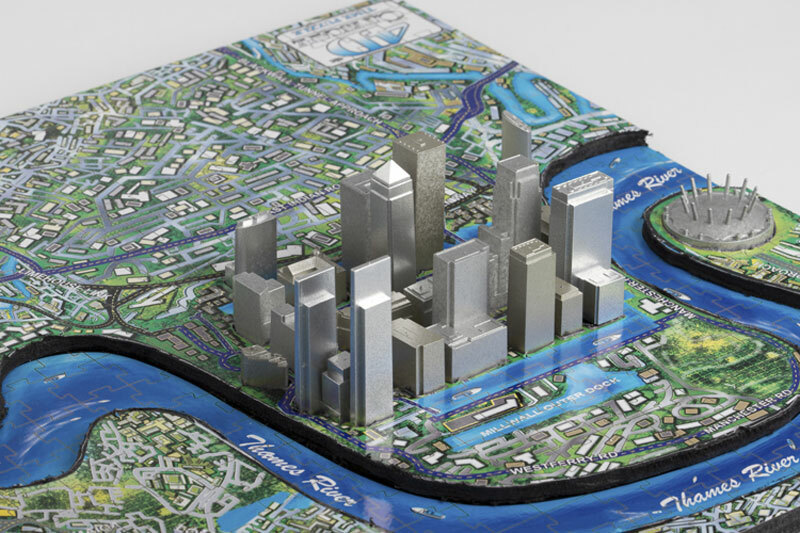 The product includes a Time Poster that directs you through time as you rebuild London's skyline history.